Awesome from start to finish! Fasting is not about starving oneself. 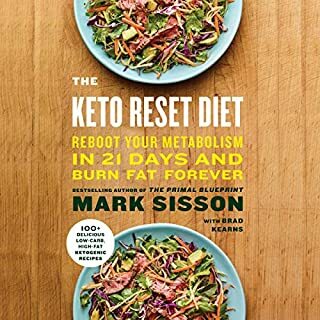 When done right, it's an incredibly effective therapeutic approach that produces amazing results regardless of diet plan. 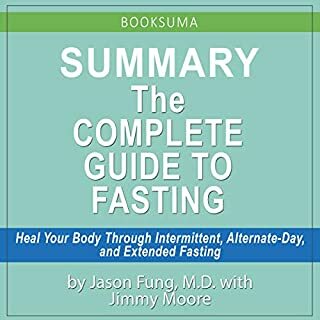 In fact, Toronto-based nephrologist Dr. Jason Fung has used a variety of fasting protocols with more than 1,000 patients, with fantastic success. 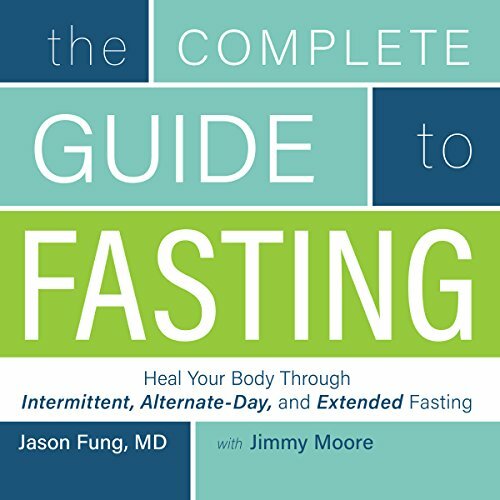 In The Complete Guide to Fasting, he has teamed up with international best-selling author and veteran health podcaster Jimmy Moore to explain what fasting is really about, why it's so important, and how to fast in a way that improves health. Together, they make fasting as a therapeutic approach both practical and easy to understand. I love Jimmy Moore, but he's not a pro narrator. I would have preferred a smoother read from someone who has at least some experience narrating. I want to give this book a 5, but I can’t given how much I dislike Jimmy Moore’s performance of it. 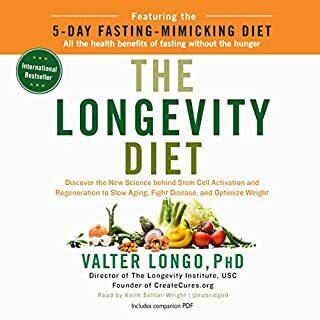 The information and excellent intro to Fasting has made me a true believer of the benefits of fasting. 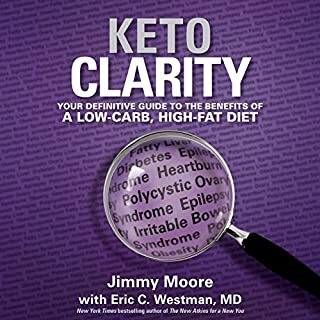 This book goes so well with The Obesity Code by Dr. Fung as well and Keto Clarity by Jimmy Moore. Since I read this, my whole world has opened up! I have done IF a lot and really enjoy it...I owe it to Jimmy Moore and Dr. Fung for making info like this available! 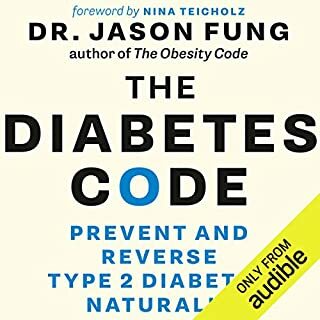 I love Dr Fung’s work and have hard copies of all his books, but wanted to listen in the car so got the audio book. The content is great. 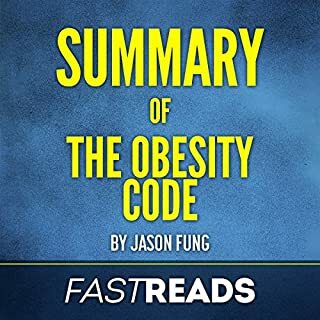 If you read the Obesity Code previously, the first several chapters of this one can likely be skipped however. BUT...... Jimmy Moore is simply a wretched narrator. His accent and way of speaking sound like he’s got marbles in his mouth. I’m sure he’s fine when speaking naturally in a podcast or video, but for reading a book out loud he is terrible. If I actually had the time to read the physical book, his narration would have been what drove me to return the audio book. Seriously, Dr Fung (or any of his people) you’re shooting yourself in the foot having this guy read your books. Please pick someone else next time. The guy who did Obesity Code was just fine. I just love this book! 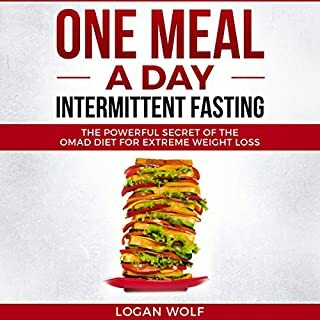 I had been learning about the benefits of fasting and this just helped me gain the confidence to give it a try. 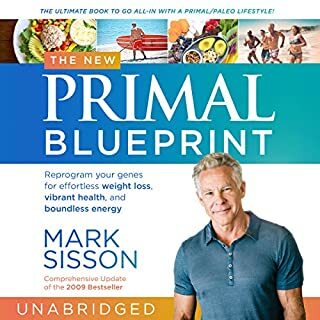 I am 40 plus hours into my fast and I'm doing very well. I’m so thankful of Jimmy Moor & Jason Fung for this book. It has changed my life and helped me take care of my life threatening T2 Diabetes disease. Thank you isnt even enough. I’m extremely grateful of all this information in this book they helped me save my life ❤️❤️❤️❤️ -J.
loved the information, found the narration a bit dry and hard to follow (sorry Jimmy). a little repetition but I went through it all, I see this need for repetition if you are just reading a chapter. The book was well paced and we'll written for the most part, the biggest annoyances being the performance and constant almost overbearing "cut to xyz who says abc" example scheme. The end of the book essentially read like an advertisement for his clinic in so so success stories. Such important information to recover health! Wish everyone knew this information. 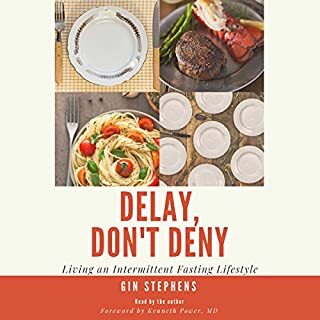 This book gives you the "why" and the "how" to fast. Thank you Jimmy, with your tips and advise I am able to confidently fast and feel good! 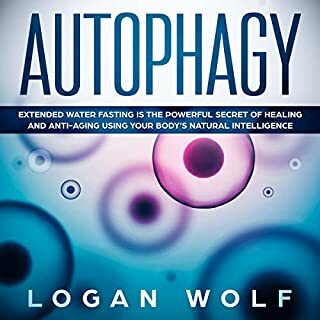 This audio book is great to listen to and has great information about, why, how and what fasting is. 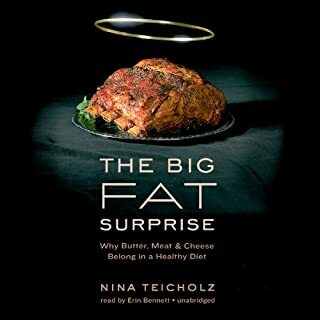 This book, especially when read after The Obesity Code, is fantastic. It's so good to me that overall the rating is still 5 stars even though the narration was HORRIBLE. Jimmy Moore seems like a good guy and maybe he's got his fans from his podcast. Maybe he sounds more natural in regular conversation. But he was not the right person to read this audiobook. He sounds like he's never spoken to other people in his life and also like he's not sure how to read. I'm truly sorry, I don't like to be critical of other people, but it was just that bad. Great information! Normally I struggle with all of the scientific data and numbers, but that wasn't the case. What I did struggle with in this particular book was the editing. It was very choppy and you can tell the difference as it jumps around a bit. It sounds like it might have been recorded in two different places and sounds somewhat robotic in places. If those issues could get fixed, it'd be awesome! I have listened to many books, several hundred hours. This one was rough to get through. The reader has no emotion, the same tone throughout the entire book. Which makes it difficult for the listener to comprehend what is being said. 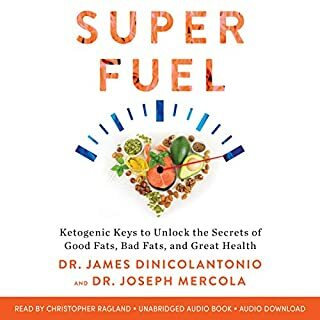 I would highly suggest if you choose this book that you read it to yourself instead of through audiobook. I listen to this book three times and was able to get very little out of it due to the way it was being read. Same as his other two books, the information is good, but he repeats himself constantly! This didn't need to be a whole book, it could have been 1/3 of the size, just the facts! The info in the book is fantastic but I wish there would have been a better narration. great science and implementation tips. 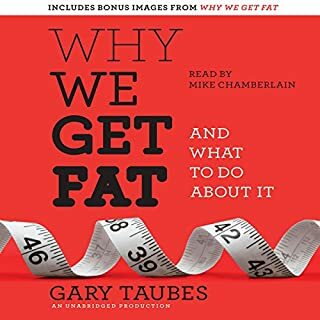 Fung explains the science behind weight and eating issues including the seriousness consequences to our health as a society as well as why it's so hard practically to implement change. with both the knowledge and experience he them explains very successful strategies to deal with these issues succesfully. 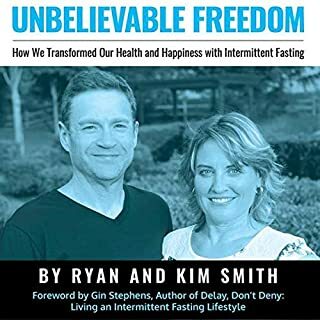 I was able to complete a 5 day fast easily even before I was done reading the book. To many the initial response will be 'I can't do that' to whit I say TRY IT, you might surprise yourself. Narration by Jimmy Moore is so bad that I returned the book! 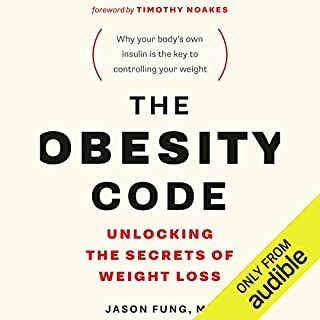 Loved Dr Fung's "Obesity Code" and was so looking forward to this book but Jimmy Moore is a self-aggrandizing egomaniac - with a voice that grates with every word. All the podcasts are un-listenable as well. I am disappointed that Dr Fung would associate with him considering the total emphasis on SELLING. 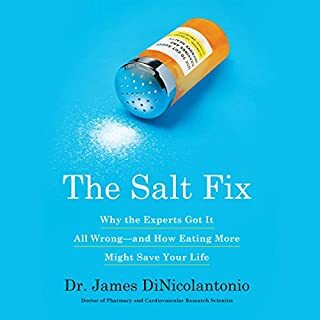 jimmy should stick to his podcasts because I can't stand listening to him read this book. Hire a professional please! The books seemed to repeat the same thing over and over again. Dr. Fung and Jimmy Lead the Pack! Thank you! 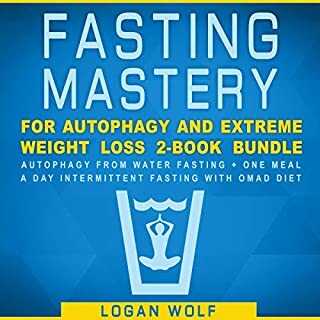 I've fasted 24-48 hours in the past, painfully! 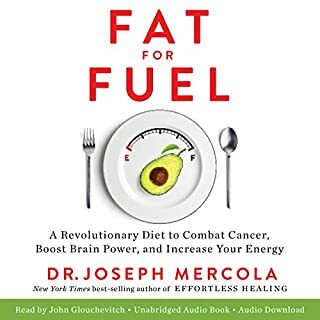 I needed to do a 7 day fast for health reasons and so, got your book in hopes it would help me through. Did it ever! Today I finished my 7 day water only (and a little green tea) fast and I know I was successful because of your information. I didn't quit on day 2 knowing day 3 and beyond would be easier. Without your information either I would have quit or been miserable for the entire time. Instead I breezed through and rode with the difficult spots. During my fast I got to my ideal body weight though I expect to add some lbs back on in the coming days. On top of all of that, great narrating Jimmy! This book was well organized and easy to listen to which I cannot say for many books of this kind. I buy audiobooks to listen to while I'm driving. This thing is so poorly organized, poorly read and unedited that it's a distraction. Hopefully, by buying the book I'll be able to go back and reread until I can get the context, but in the meantime, I'm sure wishing I could get my money back for this piecemeal, hacked together, audio! I wish I could have given it a -1 rating! Where are the PDFs please?